4. Feeding air unit reduces inside of spray booth's dust and increase the quality of product. 6. Jet air clean set can clean the dust on the surface of painting object. 1. Shape scan device can control paint spray range automatically. 2. 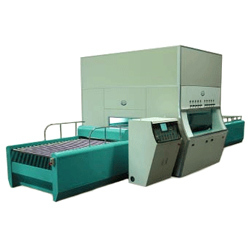 It can combine with oven (multi-layer type, plane type or UV curing oven).